Per published clinical guidelines, we recommend an exam and prophylactic cleaning every 6 months. Continuity of care is recognized as vital for long-term, positive oral health. Establishing a reliable and consistent pattern of health care for child is one of the most important and stressful challenges that new parents face. Just For Grins is here to help with the process, offering expert oral health care advice for newborns, infants and toddlers. Yes, based upon age, advice differs. Remember that your child’s first oral exam and the development of a Dental Home begin at age 12 months. Make and appointment to introduce us to your infant or to get a tour of our office. The causes of cavities and obesity are multifactorial, with both having significant dietary components. Our doctors understand the complicated relationship between diet, general health, and oral health. You can rest assured that we will provide sound, robust, evidence-based advice that can improve the oral health of your child. Availability of after-hours emergency care is an important part of continually accessible care. The Dental Home serves as a higher quality health care alternative in orofacial emergency care situations. If your child experiences a dental emergency, give us a call for the crucial advice you need. After hours? No worries. Simply leave a message and we will call you right back. Caries (tooth decay) is the most common chronic disease of kids aged 6 to 19 years. It is 4 times more common than asthma among 14 to 17 year olds. Early Childhood Caries is the most virulent form of caries. Our pediatric dentists will guide you through treatment alternatives for caries or trauma. Talk to us about your restorative expectations. From your child’s diet to her habits, many factors impact the whiteness of her teeth. Whitening is an increasingly popular option that either improves appearance or returns teeth to sparkling perfection. Also, ask us about our cost-effective PARENT ‘teeth-whitening-while-you-wait’ service. Odontogenic infections, extractions, trauma, oral pathology lesions, and structural or acquired anomalies are some examples of reasons for oral surgery. Our doctors can deliver some oral surgical procedures in-office, while others are best delivered in an out-patient setting, under general anesthesia. They deliver surgery at Christus St. Vincent Regional Medical Center, Santa Fe Medical Center (Presbyterian), Los Alamos Medical Center, and Christus St. Vincent Physicians Medical Center. Just For Grins Pediatric Dentistry has a close professional relationship with several board certified orthodontists, including Dr. Daniel Rudd, who practices in our office on Fridays. Patients of record have a routine growth and development exam at each recare visit and are referred at an appropriate time, suitable to their condition. If your Dental Home is elsewhere and you would like an orthodontic referral, please call to schedule a consultation. “The Home of Happy Teeth” is the tagline that we are proud to maintain. 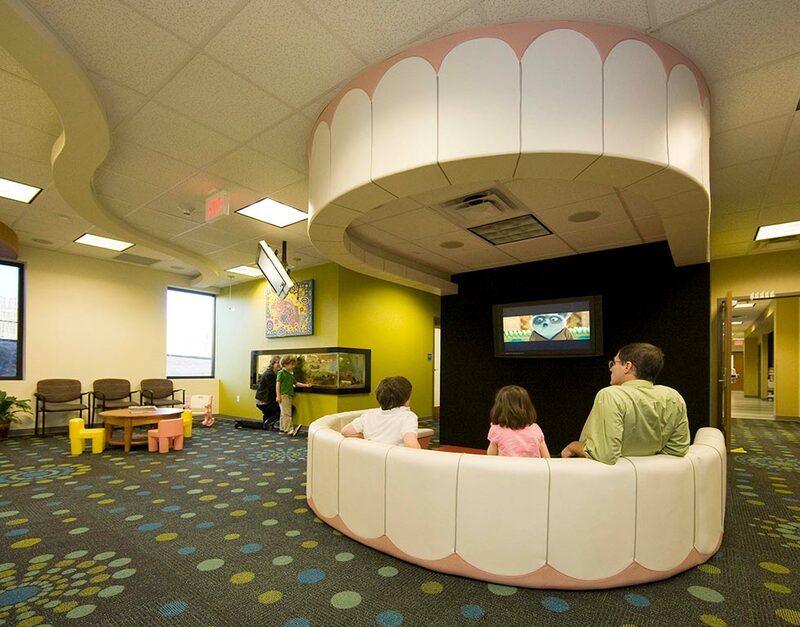 Thanks to our practice philosophy of adapting to unique and specific patient and family needs, parents know that they can come to Just For Grins Pediatric Dentistry when they want careful and respectful oral health care. Call today for the quality care that you deserve!